Research has shown that people with superior emotional intelligence (EQ) perform better at their careers, relationships and are in better states of health than most other people. Emotional intelligence essentially involves being able to sense and recognize emotions not only in yourself, but in others as well. It is the capacity to understand one’s self, to appreciate one’s feelings, fears and motivations. Do you find yourself confused or overwhelmed by the emotions that you experience? Do people tell you that you’re emotionally stunted? Do you want to develop high EQ and have more success in relationships and progress further at work? Do you want the ability to inspire, influence, and develop others while managing conflict? Having a firm grasp on emotional intelligence will not only benefit the way you think and feel, but it will also give you a better insight into other people’s emotions. This insight then allows you to harness emotions to facilitate various cognitive activities, such as thinking and complex problem solving. The emotionally intelligent person is able to take advantage of his or her emotions, even negative ones, and adapt according to the tasks that need to be accomplished. With Brainwave technology, you can finally eliminate emotional uncertainty from your life, and attain an advanced state of EQ to achieve success in both social and career aspects of their lives. 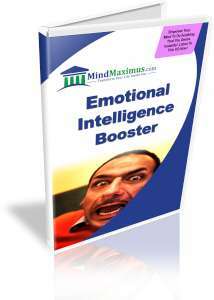 No reviews on C13 Emotional Intelligence Booster so far.